"Fresh Hell" redirects here. For the Penny Dreadful episode, see List of Penny Dreadful episodes § Season 2 (2015). Spiner at the 2016 San Diego Comic-Con International promoting the returning Star Trek series on CBS. Brent Jay Spiner (/ˈspaɪnər/; born February 2, 1949) is an American actor, comedian, and singer best known for his portrayal of the android, Lieutenant Commander Data, in the television series Star Trek: The Next Generation and four subsequent films. In 1997, he won the Saturn Award for Best Supporting Actor for his portrayal of Data in Star Trek: First Contact, and was nominated in the same category for portraying Dr. Brackish Okun in Independence Day, a role he reprised in Independence Day: Resurgence. He has also enjoyed a career in the theatre and as a musician. Brent Jay Spiner was born to a Jewish family on February 2, 1949, in Houston, Texas, to Sylvia and Jack Spiner, who owned a furniture store. After his father's death, Spiner was adopted by Sylvia's second husband, Sol Mintz, whose surname he used between 1955 and 1975. He attended Bellaire High School in Bellaire, Texas. Spiner became active on the Bellaire speech team, winning the national championship in dramatic interpretation. He attended the University of Houston, where he performed in local theatre. Spiner is married to the publicist Loree McBride, with whom he has one son, Jackson, born in 2002. Spiner moved to New York City in the early '70s, where he became a stage actor, performing in several Broadway and off-Broadway plays, including The Three Musketeers and Stephen Sondheim's Sunday in the Park with George. He had a brief nonspeaking role in the film Stardust Memories, credited as "Fan in Lobby", the one with a Polaroid. Spiner appeared as a media technician in "The Advocates", a second-season episode of the Showtime cable series The Paper Chase. In 1984, he moved to Los Angeles, where he appeared in several pilots and made-for-TV movies. He played a recurring character on Night Court, Bob Wheeler, patriarch of a rural family. In 1986, he played a condemned soul in "Dead Run", an episode of the short-lived revival of Rod Serling's series The Twilight Zone on CBS. He made two appearances in season three (1986) of the situation comedy Mama's Family, playing two different characters. Spiner's first and only starring film role was in Rent Control (1984). In the Cheers episode "Never Love a Goalie, Part II", he played acquitted murder suspect Bill Grand. Spiner also appeared in the Tales from the Darkside episode, "A Case of the Stubborns", as a preacher. He portrayed Jim Stevens in the made-for-TV movie Manhunt for Claude Dallas. 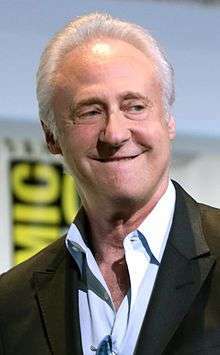 In 1987, Spiner started his 15-year run portraying Lieutenant Commander Data on Star Trek: The Next Generation, which spanned seven seasons and four feature films. As a main character, he appeared in all but one of the series' 178 episodes; he was not in the episode "Family". He reprised his role in the spin-off films Star Trek: Generations (1994), Star Trek: First Contact (1996), Star Trek: Insurrection (1998), and Star Trek: Nemesis (2002). Although billed as the final Trek movie for the TNG cast, the ambiguous ending of Star Trek: Nemesis suggested a possible avenue for the return of Data. However, Spiner has opined that he is too old to continue playing the part, as Data embodies a "childlike innocence" that Spiner can no longer credibly exhibit, as his appearance had already begun to lose that quality by the time he filmed his last Trek films. In addition to the series and films, he voiced his character in several Star Trek video games, such as Star Trek: Generations, Star Trek: The Next Generation - A Final Unity, Star Trek: Hidden Evil, and Star Trek: Bridge Commander. After appearing in several episodes as the ancestor of Data's creator, Dr. Noonien Soong, Spiner also recorded dialogue as Data that was heard in the final episode of Star Trek: Enterprise, "These Are the Voyages...", which aired in 2005, bringing the Star Trek TV franchise Spiner had helped establish 18 years earlier to a close. He also played Arik Soong in Star Trek- Enterprise as "father of the Augments" in S4E6. In 1991, Spiner recorded an album of 1940s pop standards entitled Ol' Yellow Eyes Is Back, the title of which was a play on the yellow contact lenses Spiner wore as Data, and the title of a Frank Sinatra record, Ol' Blue Eyes Is Back. In 1997, he returned to Broadway, playing John Adams in the Roundabout Theatre Company revival of the musical 1776. The production was nominated for a Tony Award. A cast recording was released of the revival production. Spiner has appeared in the television series Deadly Games, Dream On, Frasier, Friends, Gargoyles, Law & Order: Criminal Intent, Mad About You and The Outer Limits. In the series The Big Bang Theory and Joey, he appeared as himself. He has acted in the movies The Aviator, Dude, Where's My Car?, I Am Sam, Independence Day, Independence Day: Resurgence, The Master of Disguise, Out to Sea, Phenomenon, The Ponder Heart and South Park: Bigger, Longer and Uncut. His television-movie appearances during this period include the 2000 musical Geppetto and the role of Dorothy Dandridge's manager and confidant, Earl Mills, in the HBO production Introducing Dorothy Dandridge. 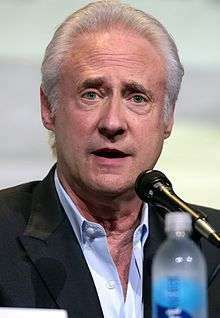 In 2004, Spiner returned to Star Trek when he appeared as Dr. Arik Soong, an ancestor of Data's creator Dr. Noonien Soong, whom he also played, in a three-episode story arc of Star Trek: Enterprise: "Borderland", "Cold Station 12", and "The Augments". He also briefly reprised the role of Data for the series, providing a voice-only cameo in the Enterprise finale "These Are the Voyages...". Spiner guest-starred in Friends as a man who interviews Rachel for Gucci, and later cameoed as himself in the Friends spin-off Joey. In 2005, Spiner appeared in a short-lived science-fiction television series Threshold, which was canceled in November of that year after 13 episodes. In 2006, he appeared in a feature film comedy, Material Girls, with Hilary and Haylie Duff. During the 10th season of the situation comedy Frasier, in the episode "Lilith Needs a Favor", Spiner made two brief cameos as a fellow airline passenger with Frasier Crane's ex-wife, Lilith Sternin. In March 2008, Spiner performed alongside Maude Maggart in a radio show/musical, Dreamland, which was released as a CD album. In 2008, Spiner played Dr. Strom in the feature film parody Superhero Movie. In February 2009, he played William Quint in "The Juror #6 Job", an episode of the drama series Leverage directed by his Next Generation co-star Jonathan Frakes. That same year, he voiced himself in the Family Guy episode "Not All Dogs Go to Heaven". In 2010, Spiner and fellow Star Trek: The Next Generation star LeVar Burton appeared on TWiT.tv's coverage of the Consumer Electronics Show. In April 2011, Spiner began starring in Fresh Hell, a comic webseries in which he plays a version of himself, attempting to put his career back together after falling out of the limelight. He appeared as Dr. Kern in the September 12, 2011, episode of the Syfy channel program Alphas entitled "Blind Spot". In October 2011, he appeared as himself in the episode "The Russian Rocket Reaction" (October 13, 2011) of The Big Bang Theory. The day after his guest appearance on The Big Bang Theory, it was announced that Spiner would guest-star in the Young Justice episode "Revelation", providing the voice of the Joker. Spiner has also guest-starred on the Syfy program Warehouse 13 as Brother Adrian in the third and fourth seasons. In episode seven of season four, the character Pete Lattimer jokingly describes another obsessively tidy character in this episode as "Commander Data". Spiner's web site is at therealbrentspiner.com. He selected that domain name because someone else bought the domain name brentspiner.com before he could do so, and he was not amenable to paying the price the owners demanded for it, which Spiner called "inflated". 1979 Family Fred Episode: "Prelude"
1981 Ryan's Hope The Doctor Examining Kim Episode: "#1.1442"
1984 The Paper Chase Student in Reeve's Class Episode: "The Advocates"
1984 Tales from the Darkside Reverend Peabody Episode: "A Case of the Stubborns"
1984 One Life to Live Ralph Harley Episode: "17 December 1984"
1985 Hill Street Blues Larry Stein Episode: "The Life and Time of Domonic Florio Jr"
1986 The New Twilight Zone The Draft Dodger Episode: "The Leprechaun-Artist/Dead Run"
1986 American Playhouse Dennis/Franz Episode: "Sunday in the Park with George"
1986 Hunter Willie Vaughn Episode: "The Contract"
1987 Cheers Bill Grand Episode: "Never Love a Goalie (Part 2)"
1987 Sledge Hammer! Soldier Episode: "The Spa Who Loved Me"
1995 Mad About You Bob, The Dog Agent Episode: "Just My Dog"
1995 Deadly Games Danny Schlecht Episode: "The Practical Joker"
1996 Dream On Dr. Strongwater Episode: "The Spirit of 76th & Park"
1996 The Outer Limits Professor Trent Davis Episode: "The Deprogrammers"
2003 Frasier Albert Episode: "Lilith Needs a Favor"
2004 Friends James Campbell Episode: "The One with Princess Consuela"
2004 Law & Order: Criminal Intent Graham Barnes Episode: "Shrink-Wrapped"
2005 Joey Himself Episode: "Joey and the Premier"
2009 Leverage William Quint Episode: "The Juror #6 Job"
2011 The Guild Himself Episode: "Ends and Begins"
2011 Alphas Dr. Kern Episode: "Blind Spot"
2011 The Big Bang Theory Himself Episode: "The Russian Rocket Reaction"
2011 Young Justice The Joker (voice) Episode: "Revelation"
2012 The Simpsons Robots (voice) Episode: "Them, Robot"
2012 The Avengers: Earth's Mightiest Heroes Purple Man (voice) Episode: "Emperor Stark"
2013 Wendell & Vinnie Himself Episode: "Swindle & Vinnie"
2014 Hulk and the Agents of S.M.A.S.H. Silver Surfer (voice) Episode: "Fear Itself"
2015 Comedy Bang! Bang! The Sandman Episode: "Zach Galifianakis Wears Grey Corduroys and Brown Leather Shoes"
↑ "Tweens : Celebrities : Brent Spiner". JUF. Retrieved 2016-06-28. ↑ "Brent Spiner Biography (1949–)". Film Reference. Retrieved 2010-12-09. ↑ "Brent Spiner". Yahoo! TV. February 2, 1949. Retrieved 2010-12-09. ↑ <%= data.objectName %> (2002-12-09). "An Interview with Brent Spiner - IGN - Page 2". Uk.ign.com. Retrieved 2016-06-28. ↑ "The Advocates". The Paper Chase. Season 2. Episode 17. August 7, 1984. ↑ Lee, Luaine (January 9, 2003). "A Data with Star Trek again". 9 January 2003. The New Zealand Herald. Retrieved December 9, 2010. ↑ 1776: The New Broadway Cast Recording (1997). Amazon.com. Retrieved July 23, 2012. ↑ By Ken P. (2002-12-09). "An Interview with Brent Spiner". IGN. Retrieved 2016-06-28. ↑ "Brent Spiner". Behind The Voice Actors. Retrieved 2016-06-28. ↑ Running time: 12:53. "The TWiT Netcast Network with Leo Laporte". Twit.tv. Retrieved 2010-12-09. ↑ "Young Justice Recruits Brent Spiner and Alyssa Milano for the Injustice League – Today's News: Our Take". TV Guide. October 14, 2011. Retrieved 2011-12-10. ↑ "Brent Spiner Interview". Cinemassacre. May 6, 2012. Wikimedia Commons has media related to Brent Spiner.